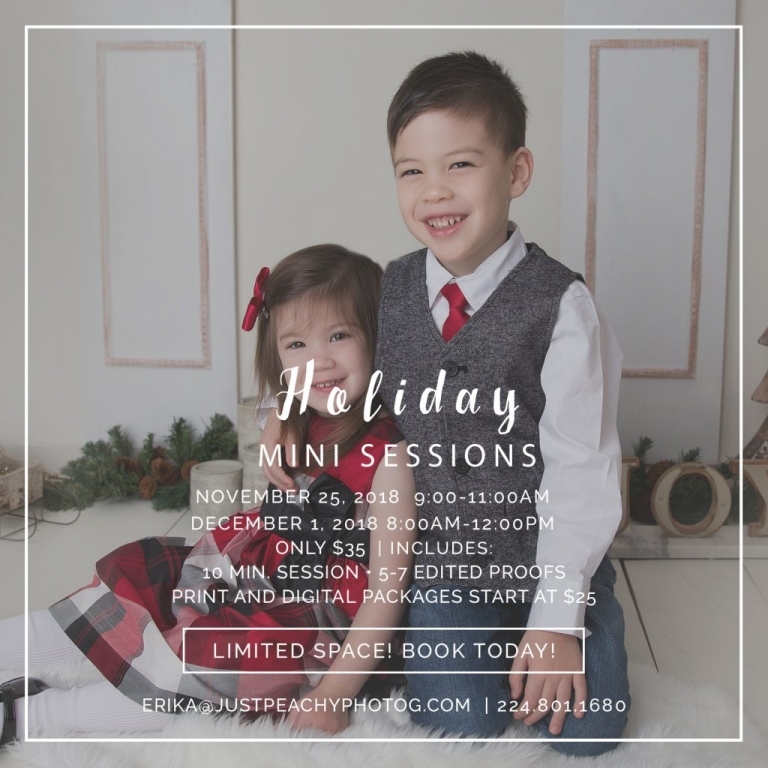 Our Holiday Mini Sessions 2018 event will be our last special event of the year! Holiday mini sessions are for ages 2 months Each session time includes up to 3 children. There will be an additional $ 15 fee for each additional child. This is a list of the children who have been living there. It will be difficult to accommodate several older children. Holiday Mini Sessions are taking place on the Sunday morning. Colored holiday trees (seen below). The colors are red, black, white and tan. It is a holiday theme but not be Christmas. This would be a tour of our mini-sessions. There are few small decorative props on the floor as well. Our Holiday Mini Sessions are $ 35 and there are 5-7 proofs to choose from. Digital files and print packages will start at $ 25. Please contact me for a special event. But after you get your package, it will be $ 25 (after your session fee is paid). In an agreement to book your session, you must provide a $ 35 payment. Yours is not officially booked until you have received a copyright agreement. You can receive your images in a timely manner. I will send you a Christmas time as well. If you cant get your session, you can get it. Deposits are nonrefundable due to the limited spaces. Once you have contacted us for your preferred time. The payment can be made online after the contract has been submitted. Thank you! UPDATE: We will have this holiday set up available before the event. This will only be available for purchase (for one child) or $ 300 (for up to 5). Your session now! Erika@justpeachyphotog.com or 224-801-1680.